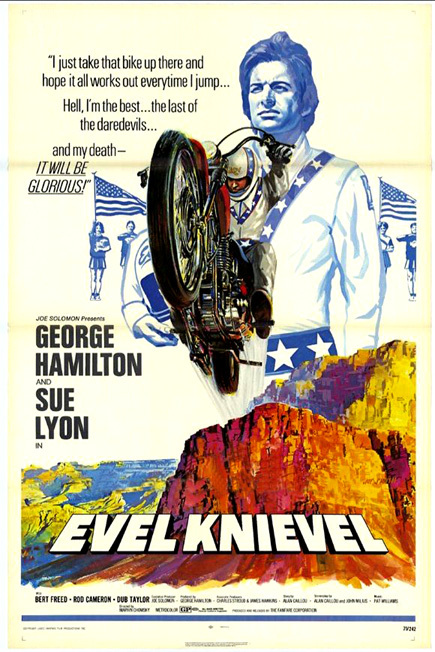 Evel Knievel (1971, USA) is a biographical film directed by Marvin J. Chomsky. Film Editing by John McSweeney Jr.
For Fame, Fortune and Broken Bones! 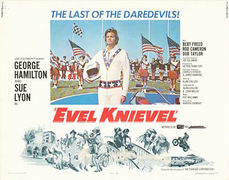 The Last of the Daredevils! This page was last modified on 12 May 2018, at 13:07.